Truthfulness (Satya) is more than just telling the truth. It means that our actions should be in accord with our words and thoughts (see Ahimsa in last weeks post!) In order to raise our consciousness, we need to live truthfully at all times. Truthfulness is absolutely necessary to lift the veil of illusion, and to start to work with some of the elements of our selves that cause us suffering. Truthfulness is also omission of information, as well as outright lying, but in order to not be harmful when truth speaking, we have to be mindful of our own motivations, and whether the best form of truthfulness is loving, compassionate silence and support to allow others to complete their own karmic journey. 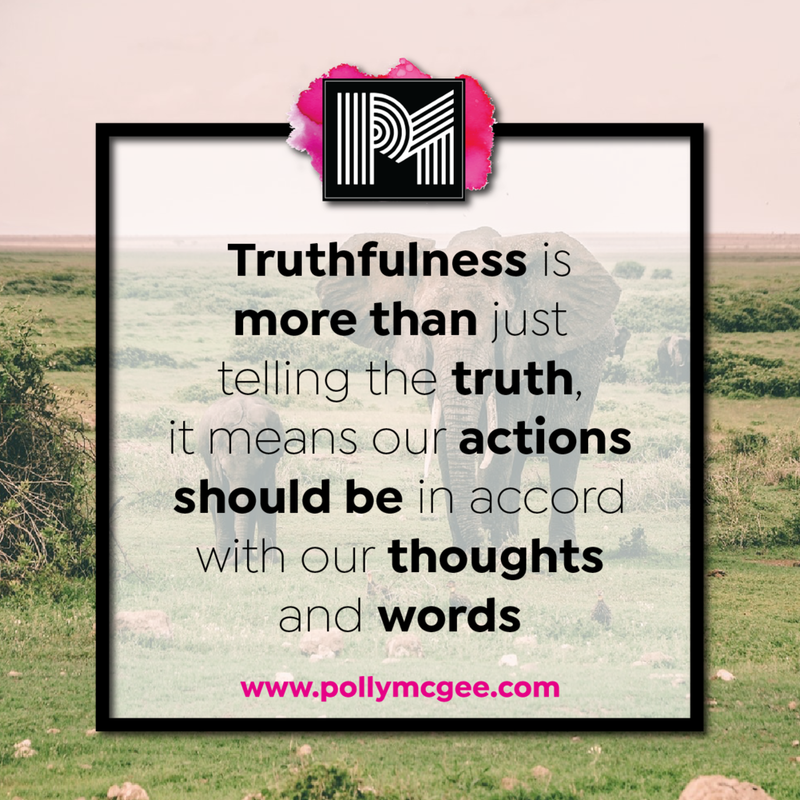 This week, practice mindful observation of your own truthfulness. Where are you exaggerating, or diminishing your role, or not taking responsibility, or gossiping where you have no need to engage? Try to find the space to make friends with truth and what it means to who you really are.